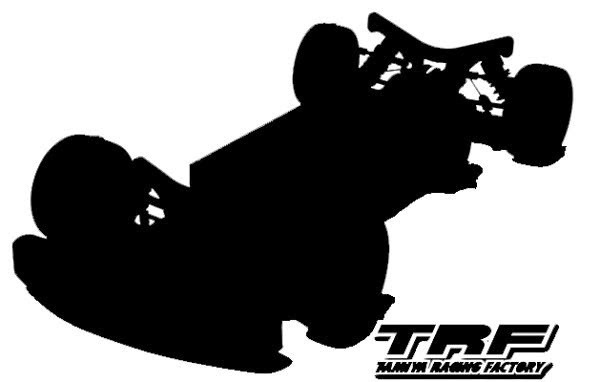 Tamiya has announced a new variation of the TRF419X, The TRF419X WS (World Spec) has been announced with very little info other than it may have an aluminium chassis and the thinner upper deck that has been seen on some of the TRF factory racers at the end of last year. The TRF (Tamiya Racing Factory) 419X is the pinnacle touring car race machine from Tamiya’s top tier designers. It is a vehicle that can be raced at your local track or at official Tamiya TCS races. This variant of the TRF419X (original Item: 42301) gives the hi-spec racing chassis kit a boost, with new thickness upper (carbon fibre 1.75mm) and lower (aluminium 2.0mm) deck parts included in the kit to further enhance its performance on carpet and other high-grip surfaces. The rest of the kits’ features remain the same as the regular 419X. Sway Bar mount are fitted with a stabiliser stopper. Aluminium battery mounts are slotted to easily use strapping tape to secure the battery in place. Carbon fiber shock towers are secured to the aluminium bulkhead using only two screws as opposed to four as seen in previous models. This allows for more flex of the chassis. Servo mount is made of two pieces: carbon fibre and aluminium. Includes both a new 2mm thickness aluminium chassis, and the original 2.15mm thickness carbon fiber lower deck, letting the driver switch according to the surface conditions they are running on. Both the new 1.75mm thick carbon fibre and the original 2mm thick carbon fiber upper decks are included. Super short TRF dampers are combined with TRF419X suspension arms. Front and rear lower bulkhead parts have 3 attachment points, allowing alteration of chassis rigidity and flex. Bulkhead parts can be fitted with upper arm spacers for a greater range of setup options. 2 types of ballast weight are included. Requires: 2-Channel radio, servo, ESC, 7.4V racing battery with charger, 190mm body, wheels, and tires. Here are some of the other hop-ups and releases that will be of interest to those of us who race Tamiyas.